Yellow Rattle or Hay Rattle (rhinanthus minor) is partly a parasitic species that draws some of its nutrients though the roots of grasses and is frequently used to increase bio diversity in wild flower meadows. Its parasitic nature suppresses the growth rate of grass, which in turn can make conditions more receptive for the establishment of other wildflower species. Used correctly it can reduce grass growth very successfully and once established can often spread to other areas within the meadow. 1. Seed should be as fresh as possible. 2. Seeds should always be sown into existing grass or along with meadow grass seed. 3. Sowing should ideally be performed in the autumn and before the end of December. This is because Yellow Rattle seeds require a special treatment known as stratification or vernalisation. Essentially this means that seeds require a period of prolonged cold to trigger germination. If it is not possible to sow seeds before mid winter then we recommend that they be placed in refrigeration for about 5-6 weeks instead. 4. Cut grass as short as possible before sowing. Broadcast seeds evenly over the plot on a calm day. After sowing, roll or scarify the seeds into the surface of the soil. Given suitable conditions, Yellow Rattle seedlings usually emerge in February or March following an autumn sowing. 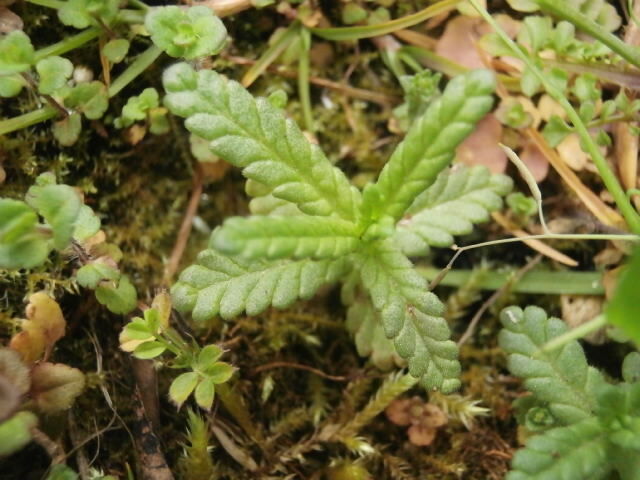 They have small but distinctive leaves with toothed edges which develop rapidly (See photo below). If possible it is important to identify the Yellow Rattle plants as early as possible in order to manage them correctly. Yellow Rattle is an annual plant so has to be managed carefully for it to successfully self-seed. If the meadow is cut too early the plants can be damaged and will fail to flower and produce seed. In meadows that already contain other wild flowers in addition to Yellow Rattle, traditional advice is to perform several spring cuts, which can lead to problems if the cutting height is too low. The secret is to identify the Yellow Rattle seedlings as soon as possible and ensure that patches are either avoided or cutting machinery is set to a greater height than that of the Yellow Rattle plants. Similarly, if the Yellow Rattle meadow were grazed, then it would make sense to fence off areas with plants and remove livestock during the critical period between March and July. The flowering period of Yellow Rattle is quite short and usually peaks in June. Plants are normally about ankle height and produce a mass of small Yellow flowers, which carpet meadows in early summer and attract bees. By July most Yellow Rattle plants have died back and quickly turn brown, leaving a distinctive and attractive papery seed head. In a stiff breeze the seeds may be heard rattling inside and this is indeed how the plant acquired it’s name. 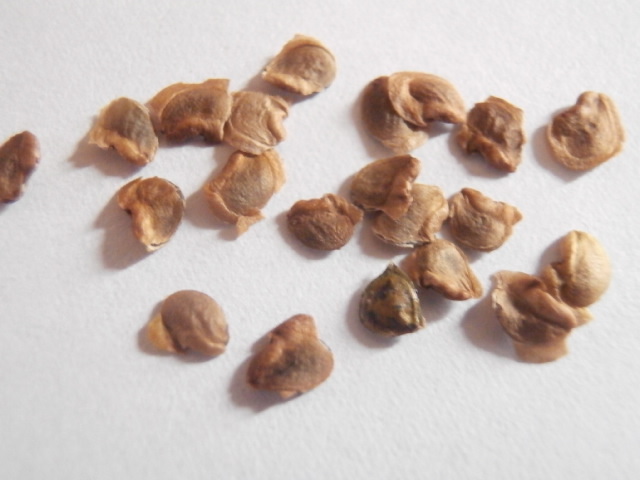 The light brown seeds are also quite distinctive (see photo below) being relatively large and flat. By the end of July they will have fully ripened and the sward can safely be cut or grazing resumed. As mentioned above it is important to buy Yellow Rattle that is as fresh as possible. Typically, freshly harvested seed becomes available in August or September so the perfect time to purchase the seeds is in autumn. 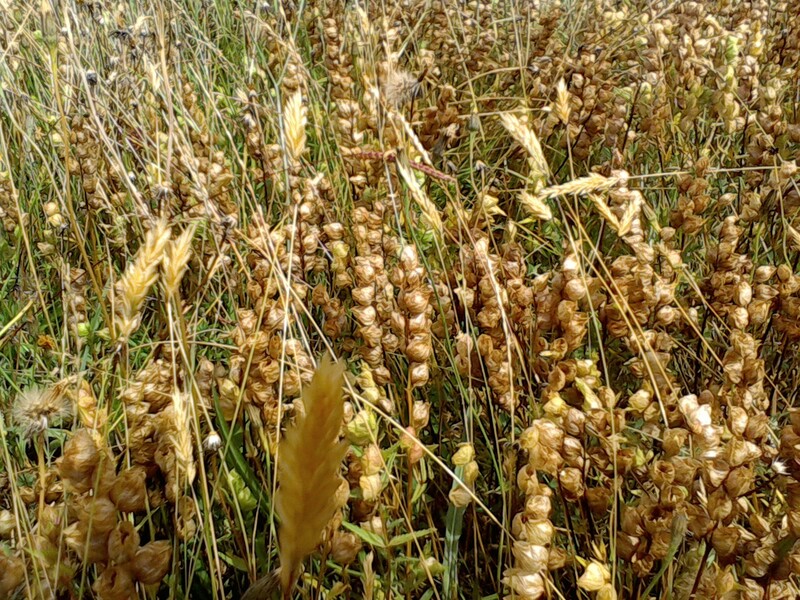 We anticipate having 2015 Yellow Rattle available shortly following successful harvest. 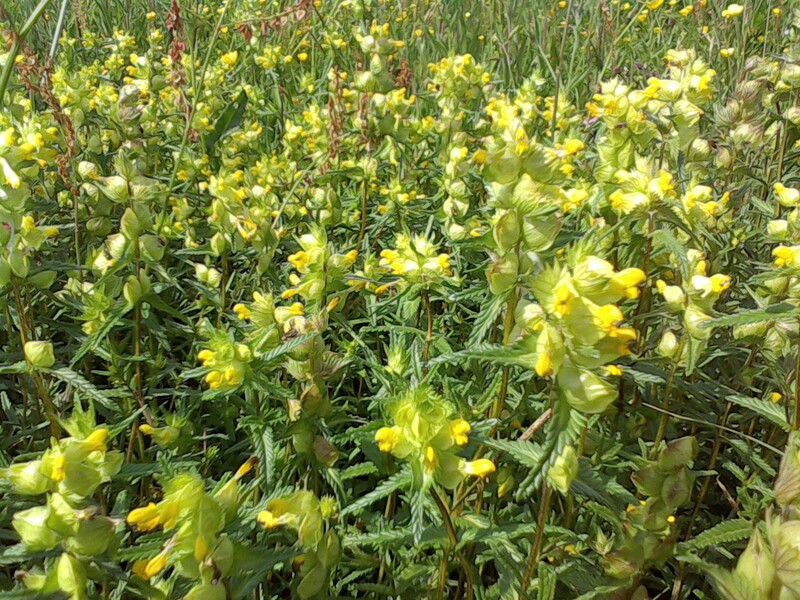 We recommend early ordering as Yellow rattle seed is always in high demand, especially for wild flower mixtures and can sell out rapidly, with prices increasing as the season progresses. 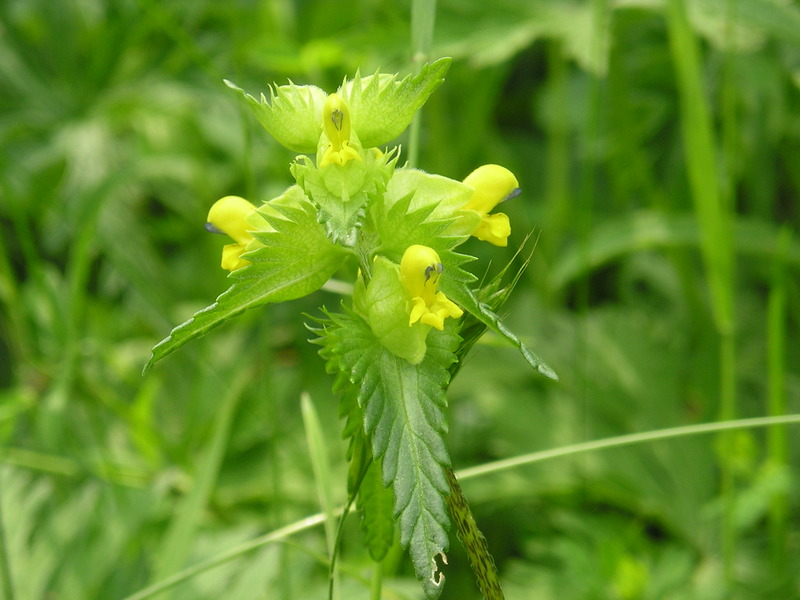 Please click here to order Yellow Rattle seeds and view further videos of Yellow Rattle in its various stages of growth. UPDATE 25.07.2015 Fresh Yellow Rattle seeds have just arrived and are available for immediate dispatch.